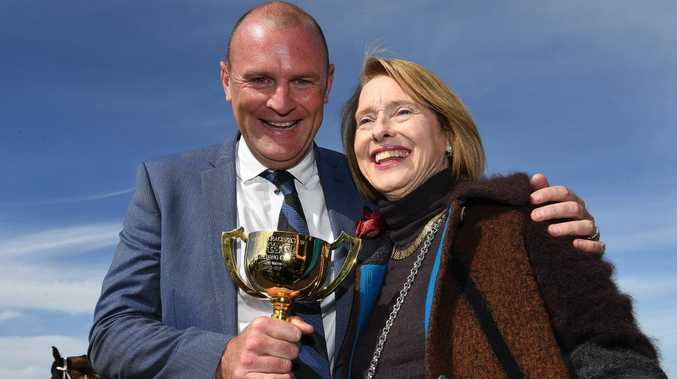 GEELONG breeder-owner Anthony Mithen has declared Runaway's Geelong Cup victory as his crowning moment. The four-year-old gelding son of Manhattan Rain, trained by Gai Waterhouse and Adrian Bott, was bred at Gnarwarre's Rosemont Stud and defeated a field of internationally-bred gallopers to keep a Melbourne Cup dream alive. Mithen, stud principal at Rosemont Farm, said it was his biggest achievement. "It's as big as I've ever had," he said. "I've won Group 1 races but to win your home-town cup with a horse that you bred, that's pretty cool. "It's a big occasion, that's for sure." Beating the internationals in the major cups has become a task for Australian-bred stayers, but Mithen said Runaway's victory was a strong advertisement for not only his business but the Australian industry. "We're really proud we're able to produce that level of horse," he said. "We've been doing it consistently for a few years now so hopefully that's a feather in our cap now. 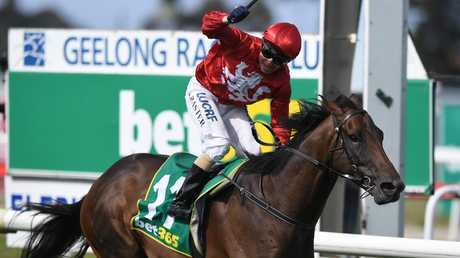 "We're gaining some traction in the industry as breeders and owners of smart racehorses and he's gone to the top of the pops for now. 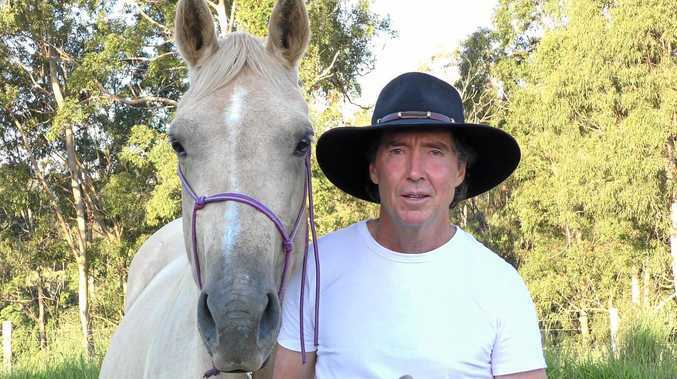 "I think that makes it all the more special (that we bred him) - the colours, and we still own a good chunk of him, we took him to a sale and sold him to Gai and went back into him. "She was going to syndicate him and we said, 'We'll keep a big chunk of him because we love him'." It was a start-to-finish win for jockey Stephen Baster, with Mithen confident at the turn that Runaway could salute. 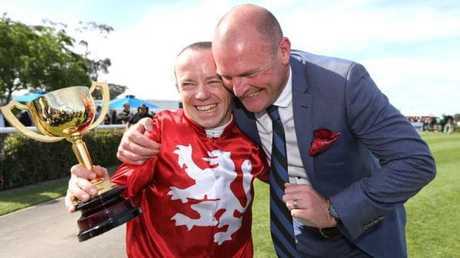 "I know he's a strong horse that loves to lead and loves to bowl and to be honest, when nothing took him on down the back, I thought, 'We're going to be in this for a long way' and as it was, that's how it turned out," he said. The win keeps a Melbourne Cup dream alive, but Mithen knows his galloper might have to win the exempt Lexus Stakes at Flemington on Saturday week to book a start. Racing Victoria chief handicapper Greg Carpenter will decide today how much of a penalty Runaway will be hit with to move up the Cup order of entry. "If we do the Lloyd Williams thing and talk him up and say, 'There was no stopping him today', he needs 8kg and we go straight into the Melbourne Cup," Mithen said. "I'll leave it to Greg Carpenter because he's the best judge in the business. "A horse that runs third in the (South Australia) Derby as a three-year-old, wins a St Leger, Aussie bred - 20 minutes that way we bred him - I think he deserves his spot and Greg will too."